It's rare for clothing brands, even the big ones, to have a Sustainability Director on staff. For us, it's a priority and his name is Rhett! Aside from cultivating our office composting/recycling program, tending to our rooftop organic cotton plants, and leading our NY Urban Field Guide classes, Rhett communicates with our farmers and factories to ensure a sustainable supply chain for Loomstate product. Rhett will be the keynote speaker of the Sustainable Textile Summit, hosted by Manufacture New York, a new production facility that will allow New York designers to manufacture product on their home turf. 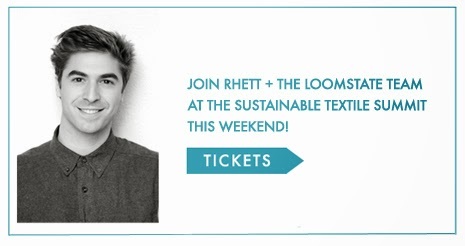 Learn about Loomstate's supply chain and exciting plans, what it means to be GOTS certified, how more cotton is in your body than on your body, 'upcycling' possibilities for textiles, and what role fashion plays in developing truly sustainable communities. 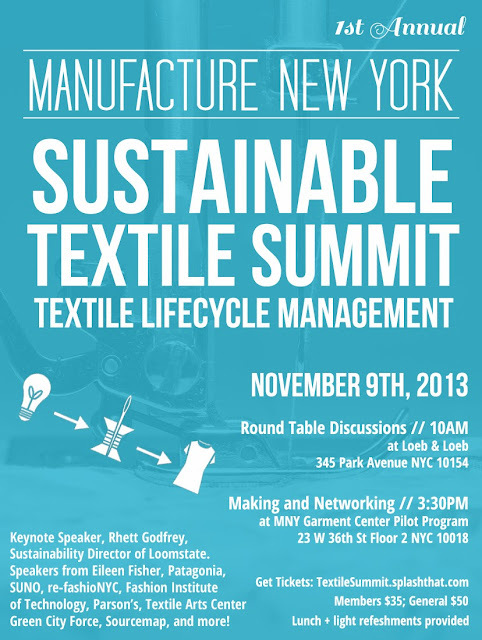 Plus, get insight into the sustainability efforts of brands including Eileen Fisher, Patagonia, and SUNO. Get your tickets for Saturday!